You can read about the full spec rundown of the new Canon 70D SLR elsewhere (DP Review is a good bet). Here we’ll just take a look at the big (and it is big) new feature – the fancy video-friendly autofocus. Yeah, I hear ya: “Video autofocus is for amateurs” and all that. Well first, the results of Canon’s new tech make automatic pull-focus look pretty great. And second, I don’t care: the tech is super impressive all on its own. The new “Dual Pixel CMOS AF” effectively splits every one of the sensor’s 20 million pixels down the middle and points them in opposite directions. This lets pretty much the entire sensor do a phase detection AF instead of the slower contrast-detection normally done on-sensor. A few mirrorless cameras (the Fujifilm X100S for example) use this tech already, but they only have a few phase-detection pixels scattered across the sensor. The Canon’s sensor is full of them. Phase detection is the kind of AF done by SLRs. When light enters the lens, it is bent and sent towards the sensor. When the light beams hitting the sensor from both the left and the right sides of the lens line up, the image is in focus (“in phase”). The new Canon pixels, which point left and right, measure the light from either side and the camera can then work out not only whether or not that part of the image is in focus, but how far out of focus it is. And this means it knows exactly how far to move the lens to put that section in focus. Using the new Dual Pixel AF means that the 70D is able to take a look at your scene and know where the lens should be focussed. Then, instead of zipping it quickly into place and checking again, like regular AF, it slowly cranks the lens’s motors to make a smooth tradition to the new position. This gives a lovely, manual pull-focus effect. The rest of the camera is much like the 60D before it, but it seems that Canon is focussed (oh ho!) on video these days. A smart move? Maybe – after all, there’s no way your iPhone can come close to doing this yet. In fact, for photographers, the iPhone has been an amazing boon. Not just because it’s a great camera, but because it’s forcing manufacturers to make better cameras to compete. The digicam is dead, killed by camera phones. But would we have large-sensor mirror less cameras, or cameras with built-in Wi-Fi (which the 70D also has) if it wasn’t for the iPhone? 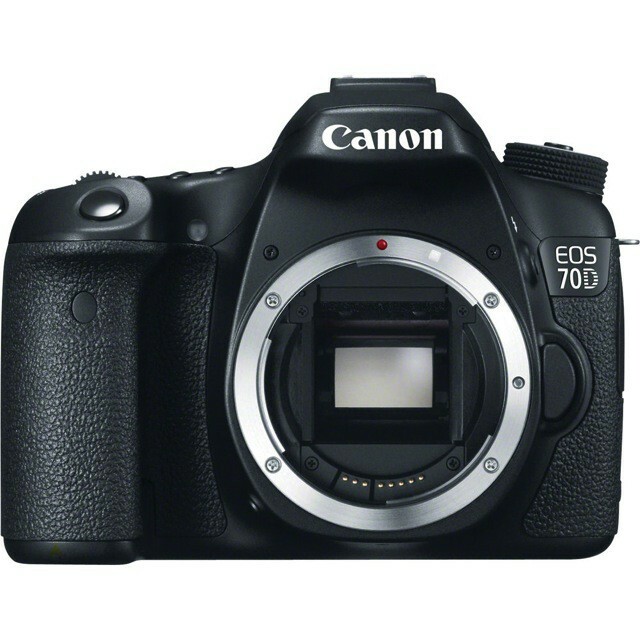 The 70D will ship at the end of August for $1,200 body only.